Round and colorful fun comes rolling along! 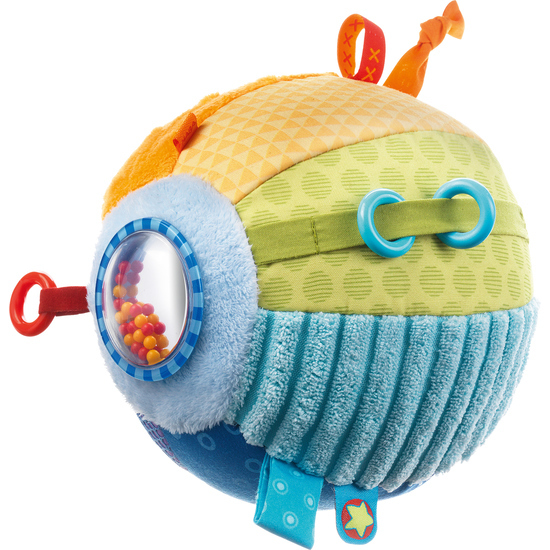 Every baby is eager to get their hands on this ball and crawls merrily towards the bright colors and jolly features. Varying forms invite your baby to investigate and discover. The mirror and rattle are especially attractive.